IF YOU NEED RESCUE HELP, PLEASE SEE OUR "USEFUL LINKS" PAGE! 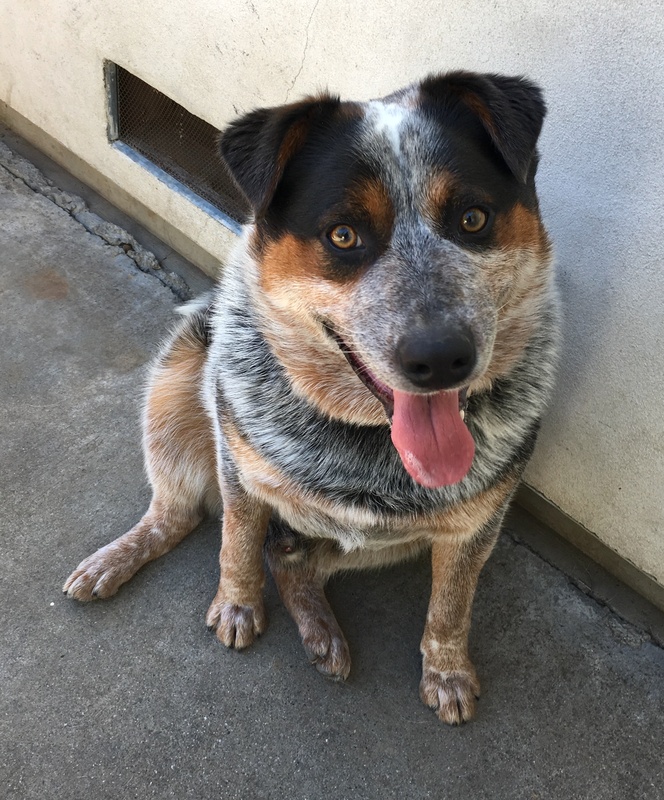 IF YOU NEED TO FIND RESCUE FOR A HERDING BREED/MIX DOG, PLEASE GO TO THE "USEFUL LINKS" PAGE (at the bar above) ON OUR WEBSITE, FOR A LIST OF RESCUES IN VARIOUS REGIONS OF CALIFORNIA, AND THE SOUTHWEST, THAT WILL RESCUE OR HAVE TAKEN HERDING BREED/MIX DOGS. RESCUES HIGHLIGHTED IN RED ON THE "USEFUL LINKS" PAGE ARE GROUPS WE HAVE WORKED WITH AND THAT WE CAN PERSONALLY RECOMMEND. regretfully, we are also not available to provide courtesy postings for those wishing to re-home their own dogs. 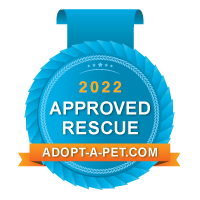 FOR INQUIRIES ABOUT A SPECIFIC DOG WE HAVE AVAILABLE FOR ADOPTION, PLEASE COMPLETE OUR ONLINE ADOPTION FORM ("ADOPT" bar, above). ONE OF US WILL TRY OUR BEST TO RESPOND TO YOUR INQUIRY AS SOON AS POSSIBLE. IF IT HAS BEEN OVER A DAY OR TWO, PLEASE BE PATIENT OR CONTACT US AGAIN, AS WE ARE ALL VOLUNTEERS, JUGGLING FULL TIME JOBS, OUR OWN ANIMALS AND FAMILIES. 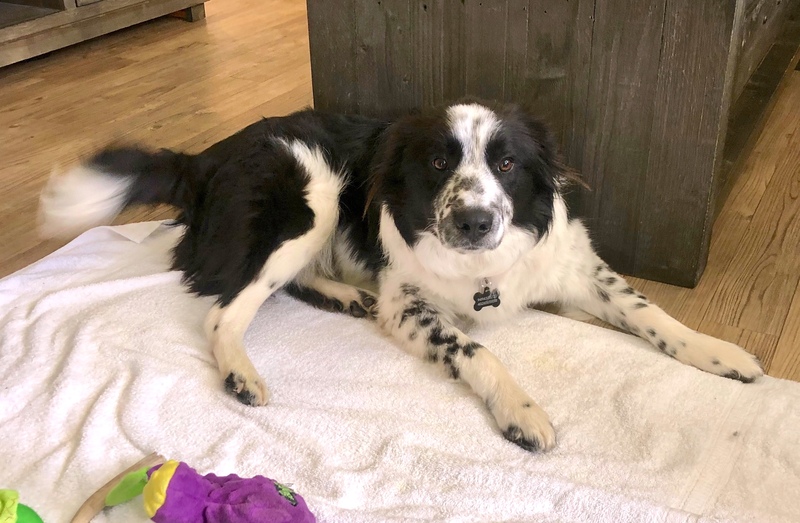 Toby is approximately 1 year old, and looks to be a herding mix of border collie, cattle dog, and Australian shepherd. He weighs 47 lbs. and is a shy and very sweet, without being needy. 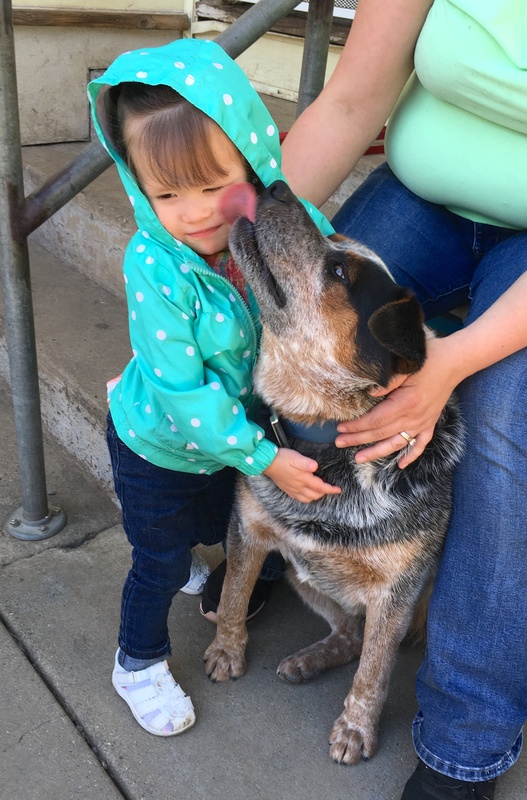 He loves being petted by anyone he meets. Toby loves to be near people. When inside, he is never more than 5-6 feet from someone, usually resting beside them. 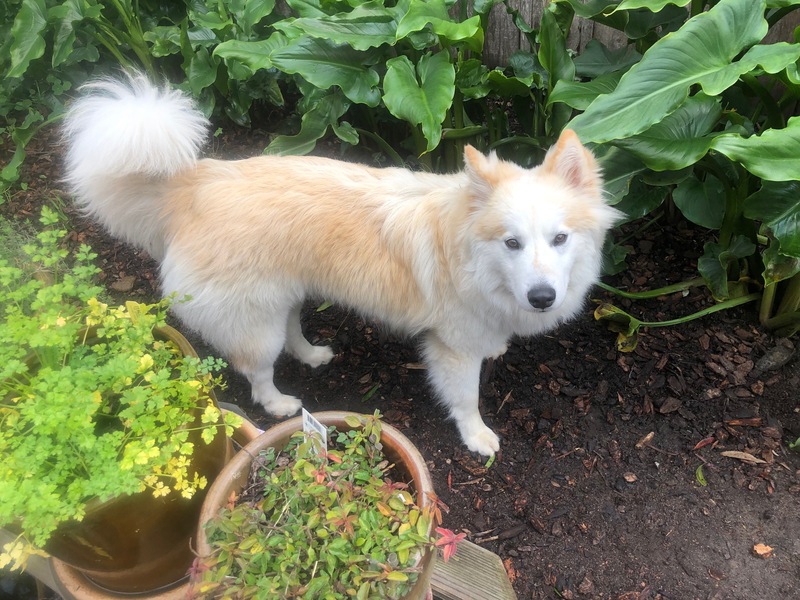 He also meet other dogs well and is very polite. 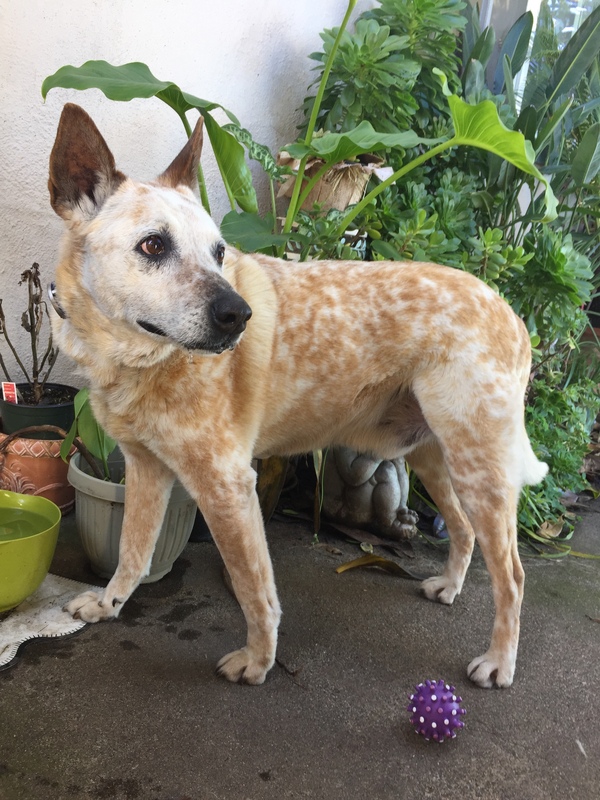 He plays well with his cattle dog foster sister, and gives the grumpy older dog in the house plenty of space. We have not seen him around children or cats. It is clear that events in Toby’s past life have caused him to startle easily at loud noises and sudden hand motions. It has been a month since he arrived at his foster home, and he is improving daily. Toby is definitely a shy dog, but he seems to be getting happier and is slowly becoming more relaxed. His tail rarely tucks between his legs anymore, and now wags his tail a lot throughout the day - low wags. When he first arrived, his tail was tucked between his legs in every new situation. He would duck his head when people moved their hands suddenly. He would panic and flatten himself on the ground or do a submissive pee upon hearing loud or strange new sounds, such as a coffee grinder. Being a very intelligent dog, he learns and figures out new things very quickly. After hearing it four times, he was no longer terrified of the coffee grinder sound. Similarly, after going on just five leash walks, Toby would become very excited when he saw the leashes come out. He loves and does very well on walks. He has had no issues with walks or anything he has encountered on a walk. He is great in outdoor restaurant situations and busy places. Overall, Toby is an easy dog to have in the house. He enjoys going into his crate to sleep, as it is his safe place. He doesn’t destroy anything, and he has no bad habits. With frequent opportunities to go out during the day, he seems to be housebroken, and he does NOT do any marking pees. No herding, no mouthiness or nipping behavior. 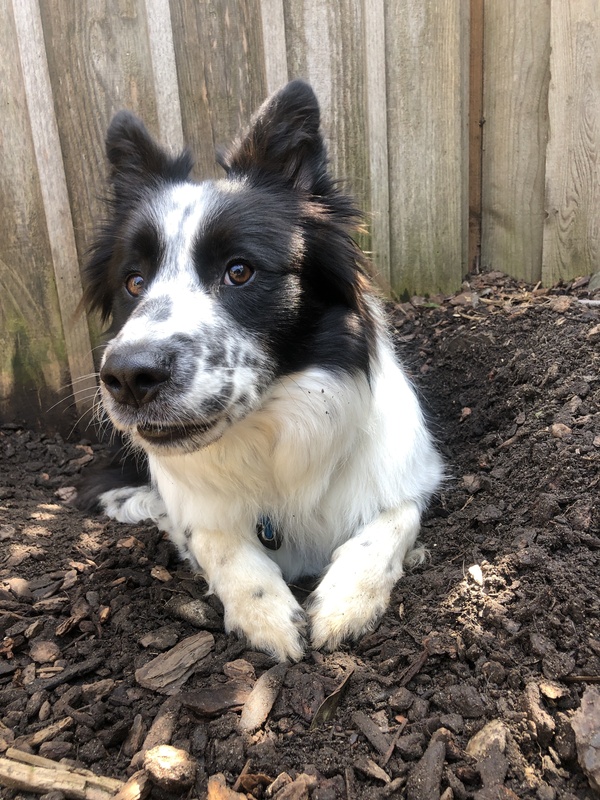 Toby does dig holes in the yard, just little ones, mostly just to have a cool place to lie in the dirt. Toby is also very quiet and his fosters have only heard him bark a few times. We must add that Toby has very expressive ears. They seem to perk up mostly when he’s very happy. They constantly move around, and go up and down minute by minute. Sometimes just the tips fold over. 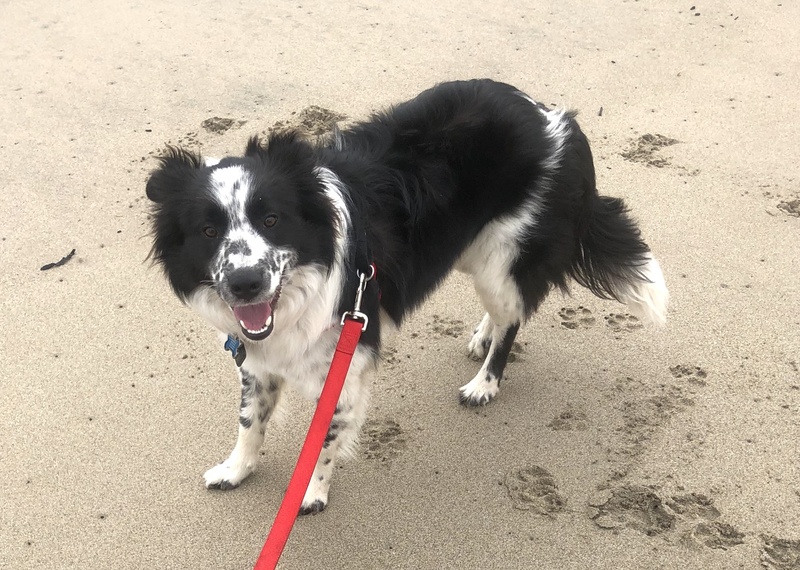 Based on observations that Toby’s nervousness and stress have shown when he is inside the house, and he is most relaxed when outside in the yard or on walks, we would guess that he was made to stay outside most of the time, and severely punished if he entered the house. This is supported by the fact that he was unfamiliar with and startled by many everyday household sounds. For a full month in his foster home, Toby was terrified of crossing doorways/thresholds into the house. He will only go through a door on his own if no human was visible, and then he would go across at a full run. Once he got about 10 feet past that area, he was visibly relieved. For weeks, he got lots of encouragement, petting, congratulations after he’s through the door, but he was still so stressed by exterior doorways that he couldn’t eat a highly prized treat. However, if on a leash, he could go in and out without any stress. Also, he had no problems going through doorways inside the house. While writing this, I was just told that Toby finally can now walk in and out the backyard door, relaxed and happy. Huge progress! 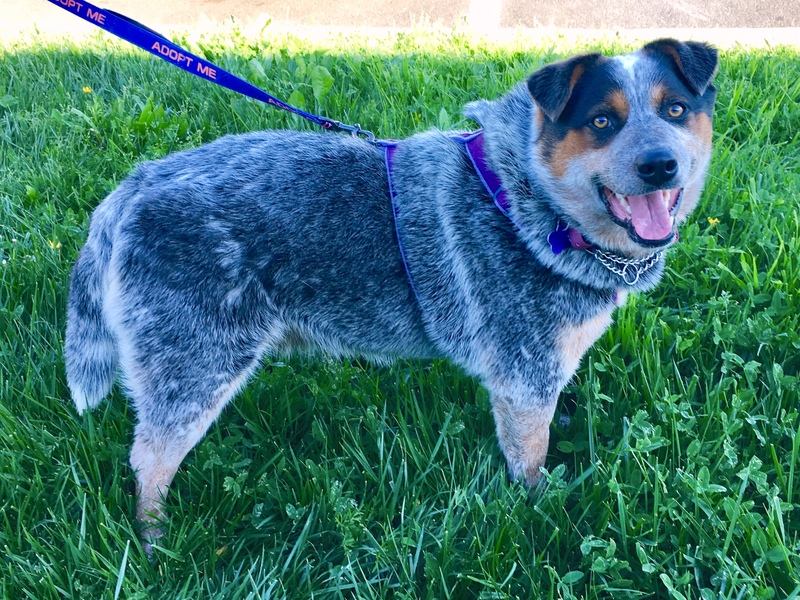 Toby is basically a happy, but somewhat stressed guy, just adapting to his new world, and making progress each day. 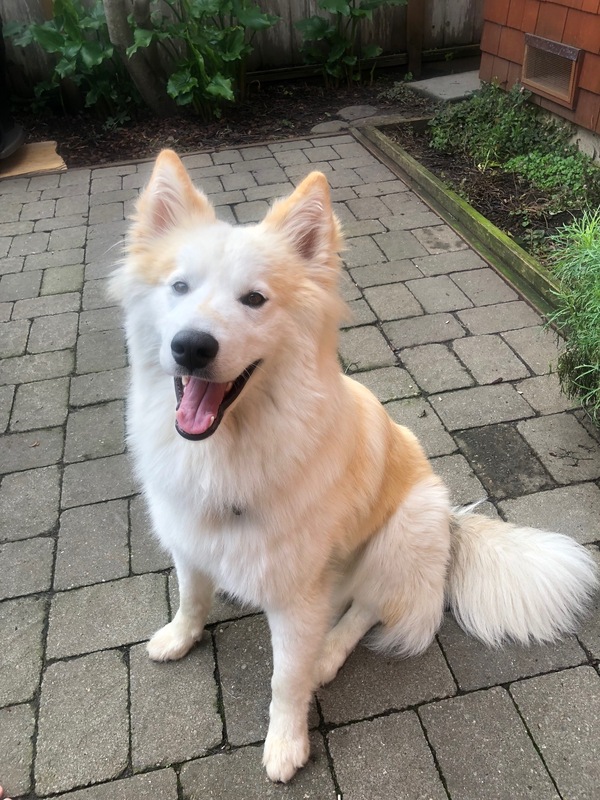 He needs quiet, calm household with people who can help him build up his confidence, and help him to relax when indoors. It would be best if someone could be with him throughout much of the day. 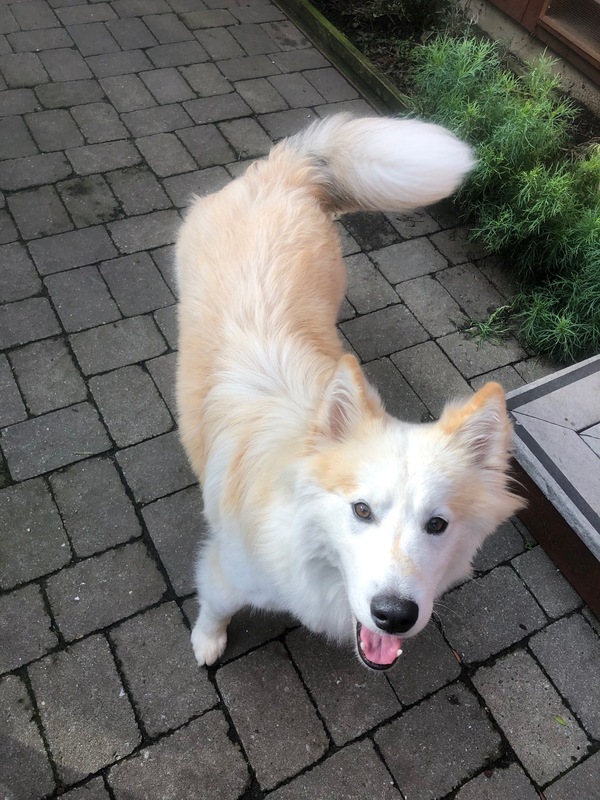 Toby would also benefit from having another very mellow dog, or a good natured playful one in the house, to help him learn how to be a dog. Toby is so submissive, that we do not recommend him to a home with highly dominant or controlling dogs, where he could be easily bullied. 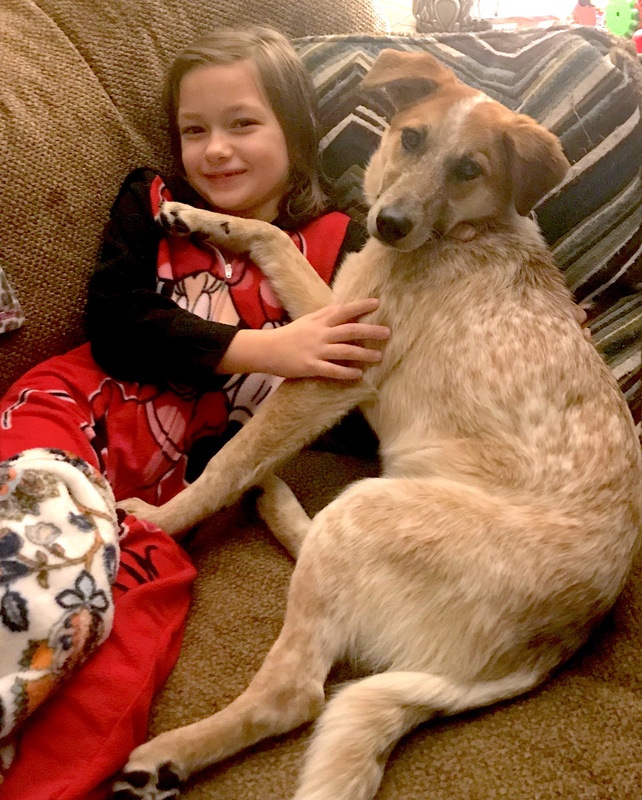 His foster mom told an example of how he would learn from another dog. She watched him learn to chew on a dog toy. Toby was carefully watching her female dog chewing on a toy, and before he decided to take a nearby toy to begin chewing also. They chewed for several minutes, but the second the other dog stopped, Toby stopped too.